RAK Rugby will be hosting the inaugural Nick Young Annual Golf Day later this month in memory of one of the club’s former players. 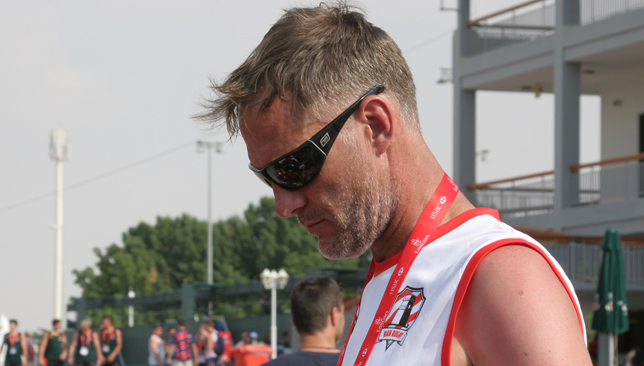 Australian Young, 43, died on April 29 this year, in the aftermath of suffering a head injury while playing at the Sharjah 10s tournament days earlier. He was buried in his homeland in May, leaving behind a wife and two young children. The Nick Young Annual Golf Day will be hosted at Tower Links Golf Club in Ras Al Khaimah on Friday, November 16, and is the latest initiative to be organised in the wake of Young’s death. 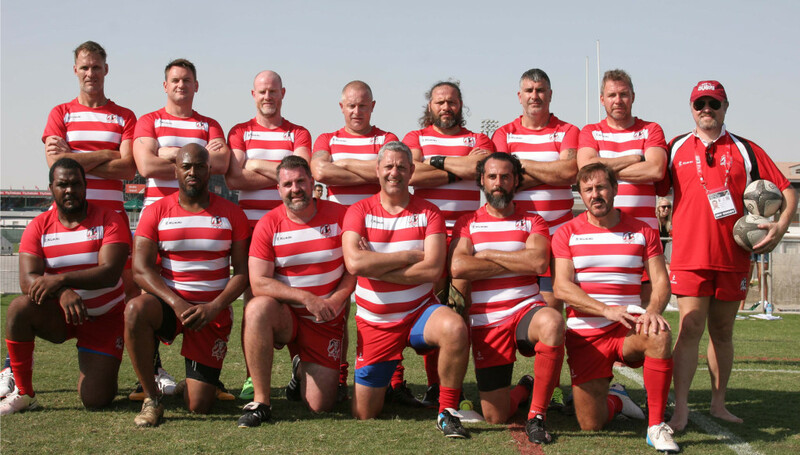 Abu Dhabi rivals Quins and Saracens played a memorial game to honour Young at Saracens’ Al Ghazal ground in May, while RAK and Arabian Knights – who Young had been playing against when tragedy struck – put on the first Nick Young Memorial match in Sharjah on June 1. “We’ve set this this golf day up as Nick was a massive lover sport and has two young lads and a wife back in Australia who we’d like to help out,” said RAK chairman Simon Williams. “It’s also a chance for the rugby community and his friends to come together to remember a great man and have some fun in the name of a good cause. “In addition, we have a Nick Young Trophy which is an annual rugby match between the Arabian Knights and RAK, as Nick was playing in a combined Knights/RAK team at Sharjah when the fatal incident occurred. “These are annual fixtures, the golf being the first to be held and the second rugby trophy match will happen at the end of the season. Registration and payment are open for the event at 11:00 for a Shotgun start next Friday, with tee-off from 12:30 onwards. The price is Dh375 per person (cash only) which will also include a barbecue, beverages, a prize giving ceremony and live entertainment. For team reservations and further information, call Williams on 056 138 4379 or Galvin McKechnie on 050 536 8676, email [email protected]. England face one of the toughest tests in rugby when they lock horns with New Zealand at Twickenham on Saturday evening. After last weekend’s 12-11 win over South Africa, Eddie Jones’ side will be bidding to beat the world champions as they look to climb their way back up the rankings. As you can imagine, there is a myriad of talking points ahead of the clash and here we select three of the most prominent. 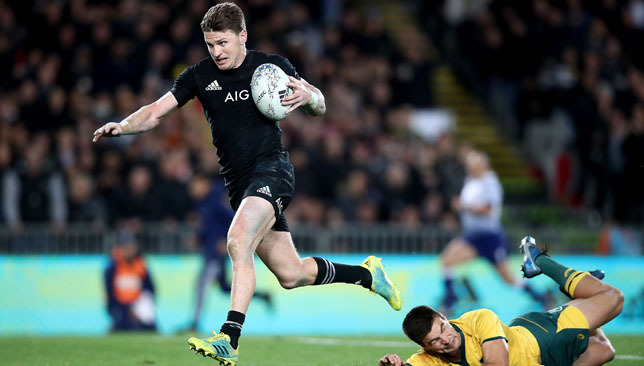 Beauden Barrett is one of the greatest fly-halves of this current generation, but for a two-time World Player of the Year, his place kicking is appalling. Remarkably, the Hurricanes man is the worst goal kicker in the world for Tier One nations – with a 71.9 per cent success rate (179/249) from the tee. 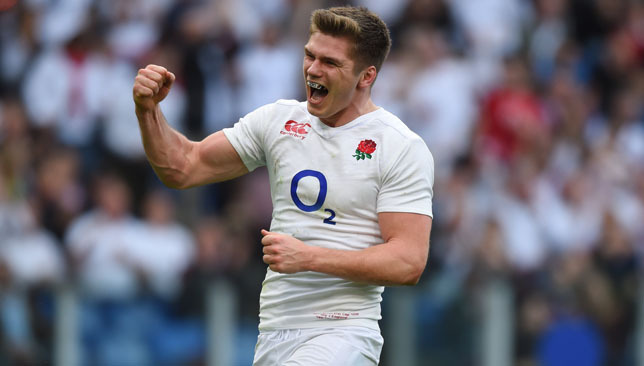 In contrast, Owen Farrell has a 78.9 per cent success rate (251/318) which places him fifth on the list. Barrett, 27, may have the playmaking skills which are the envy of his rivals, but how many teams have won a Rugby World Cup with a poor placekicker? 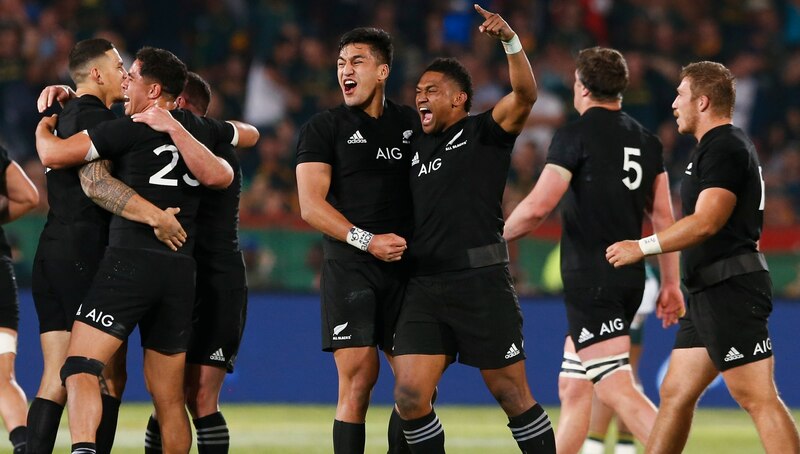 It’s something Steve Hansen needs to weigh up ahead of next September’s showpiece in Japan, especially when his brother Jordie and sub fly-half Richie Mo’unga are much better placekickers. For England, co-captain Farrell is their star man and makes everything tick with his sound defence, accurate kicks under pressure and an ability to boss the game with ease. Although Barrett’s kicking is under par for an international fly-half, he can still cause serious damage with ball in hand. Both players will be central to the outcome of Saturday’s result. CAN ENGLAND FINALLY DOMINATE THE BREAKDOWN? That’s the million pound question. The wrong back-row selection, the absence of star names due to injury and a lack of discipline have contributed to England losing the breakdown battle since the turn of the calendar year. With totemic No7 Tom Curry ruled out with an ankle injury, much of the focus will fall on Maro Itoje, Brad Shields and Mark Wilson to step up and dominate the tackle area. 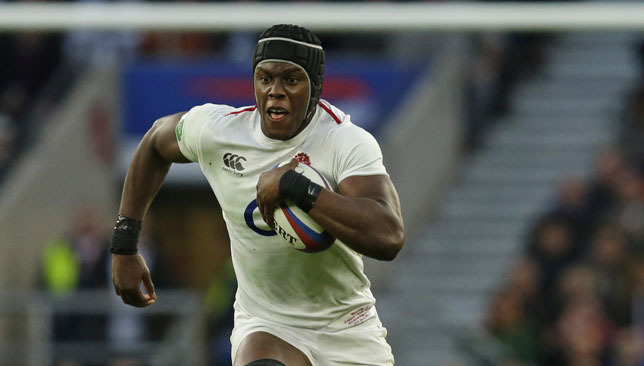 Itoje, in particular, was immense the last time he faced the All Blacks on the Lions tour in July 2017, ruling the line-out and covering every blade of grass along the way. The 24-year-old may have struggled for a run of consistent form since, but this is the perfect fixture for him to step up again and prove why he is a future England captain in the waiting. At No8, Wilson is without the same carrying power of the injured Billy Vunipola and Nathan Hughes, but Jones will need the in-form Newcastle man to get around the pitch quicker in a bid to cut down the imposing All Blacks forwards from gaining a foothold in the contest. If England are to beat the world champions, they need to score plenty of tries. 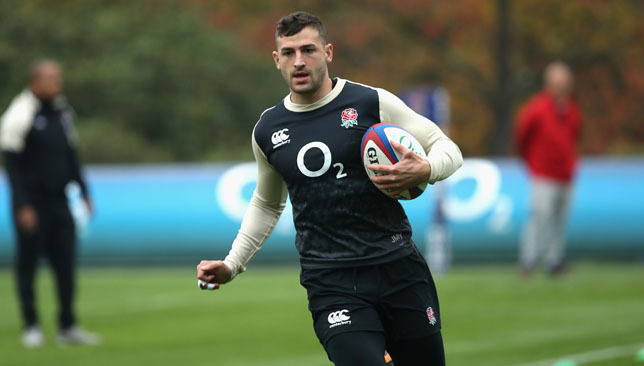 One of the strongest areas of Jones’ team is his back three, with Elliot Daly, Jack Nowell and Jonny May all possessing speed, power, solid defence and reliability under the high ball. May, in particular, is the lighting rod of the home attack and can make magic happen any time he gets the ball in space. The Gloucester winger has five tries in his previous six tests but will need to be at his utmost best if he is to get the upperhand on the All Blacks duo of Ben Smith and Rieko Ioane – who has scored a stunning 22 tries in 21 appearances. However, for all England’s prowess in attack, they have only crossed the line 22 times in their 10 tests in 2018, in contrast to the All Blacks’ 67 tries in 12 tests this year. If Jones wants to taste a first win over New Zealand, then he needs his players to cut loose and ship the ball out to his danger men out wide. The Leicester centre looks set to make his England return this weekend after being included in the 25-man squad. The 27-year-old was due to make his first international appearance since 2016 in the win over South Africa on Saturday but was forced to withdraw due to a groin strain. 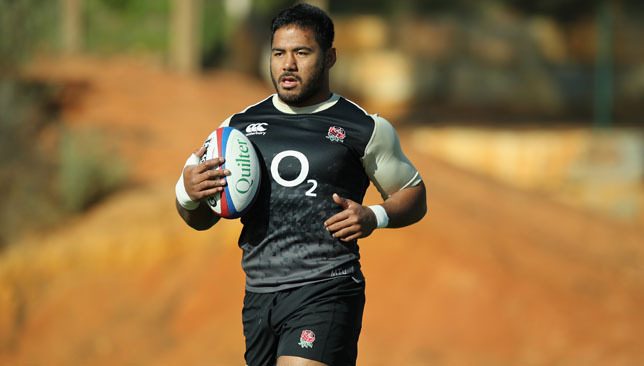 Tuilagi though trained fully this week without any issues and is expected to be re-selected when Jones names his team on Thursday. Six years ago he tore apart the All Blacks with a scintillating display in the historic 38-21 win at Twickenham, setting up tries for Brad Barritt and Chris Ashton and scoring a late intercept himself. Expect him to make a serious impact when introduced alongside Ben Te’o or Henry Slade on Saturday. Steve Hansen believes Eddie Jones will be totally unfazed by any pressure over England’s form or his own future. All Blacks head coach Hansen laid out his firm respect for England counterpart Jones, revealing the pair speak “probably every second week”. 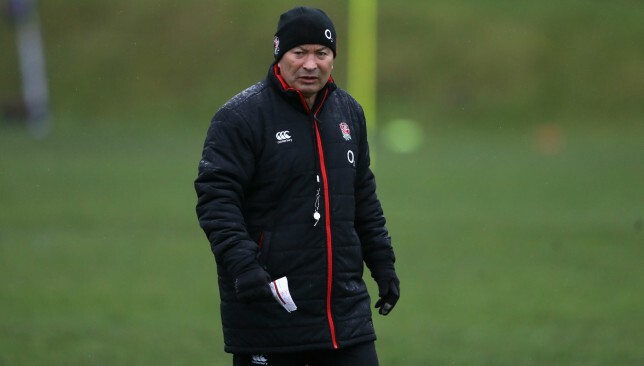 Jones had bristled at suggestions Saturday’s 12-11 win over South Africa at Twickenham could prove the most important of his reign as England head coach. England will face back-to-back world champions New Zealand for the first time in four years at Twickenham on Saturday, with Hansen insisting Jones’ men remain a global power. “Talking to Eddie, I know he and England are very excited about this game, and we are too,” said Hansen. “We usually talk either by text or by phone, probably every second week. Steve Hansen’s All Blacks have not played England since 2014. “It’s always good to have other people who are doing a similar role to yourself to be able to talk to. “First and foremost you’ve got to have some form of relationship that allows you to get on with each other. Hansen even admits his and Jones’ wives are friends – further emphasising the bond that exists between the two elite coaches. “You don’t ring people up you don’t like, just because they are doing the same job as you. So it probably indicates I like him and he might like me; I don’t know,” added Hensen. “The bottom line is we talk, our wives talk, and that’s not surprising. I think he’s a good bloke. “Eddie more than anybody understands that. So he’s not too bothered by it. People who get excited by it are the people that have to write the stories, and sell the newspapers. “The bottom line is he’ll be going about doing his job like he always does. And looking from afar, I think he’s doing a pretty good job. 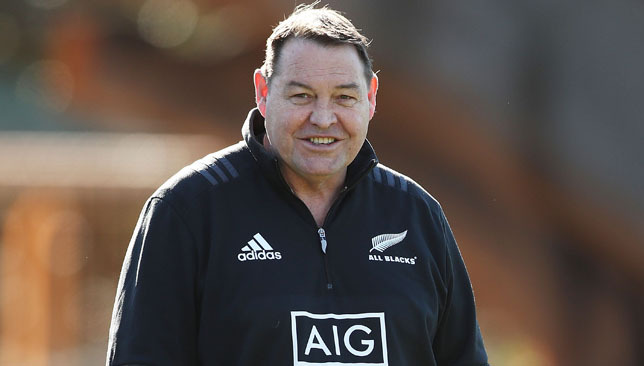 Hansen admitted Jones’ vast experience will filter into preparing an England side on Saturday that will certainly have New Zealand on guard, despite the hosts’ vast injury issues. “He’s got a tremendous work ethic, Eddie; he does a lot of homework and through that he will have identified some areas he’ll want to try to target,” said Hansen. “You’re the guys calling him bullish, I’m just saying he’s just trying to do the right thing for his team. “Does it mean we’ve got to be on guard against England? Obviously. It wouldn’t matter if he were bullish or not.